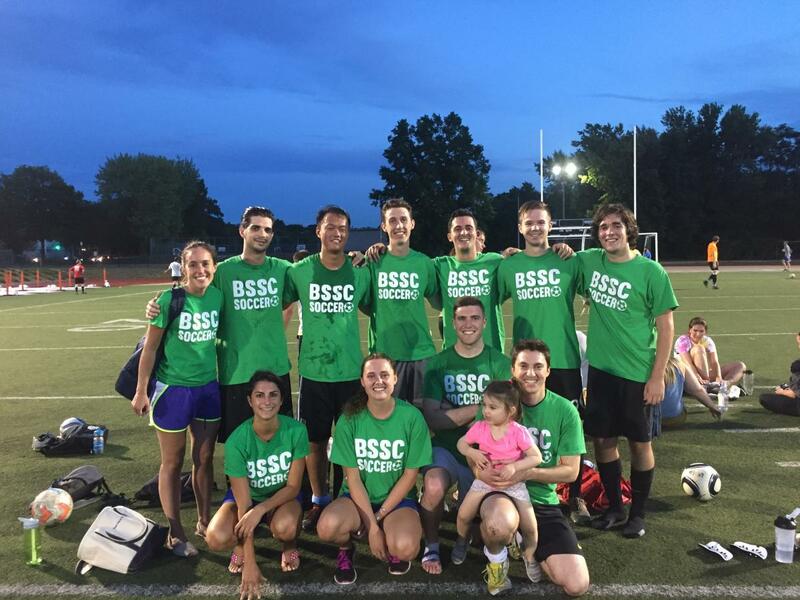 "Teamwork and camaraderie sums up the overall Pearl Meyer experience." 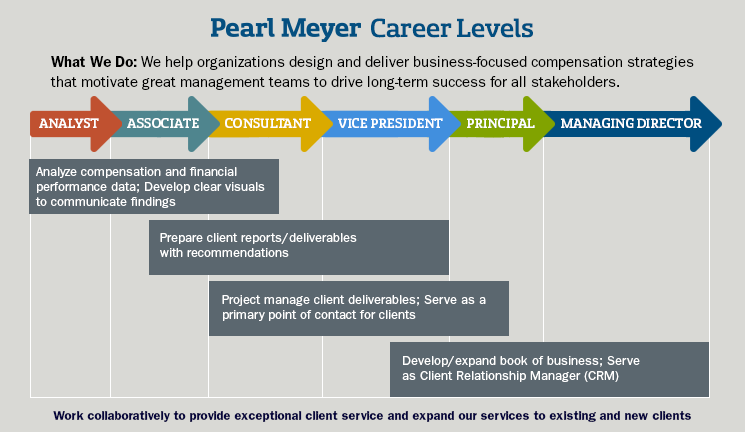 Get more information on starting a career in executive compensation consulting at Pearl Meyer. These are key to our culture. We know that maintaining focus on these three elements is critical to attracting and building a great team. Here, you will work with and learn from some of the brightest minds in the industry. You will do impactful work from day one with a wide variety of companies in multiple industries. We have a proven on-boarding process and focus on training and promoting from within. The firm offers excellent compensation and benefits and encourages a solid work-life balance with allowances like fitness reimbursement. This sets the stage for a career that you control, not one that controls you. And that’s not just our view. We are consistently ranked by Vault.com as being one of the “top consulting firms for work/life balance”. At Pearl Meyer, the path to success is clear and well-traveled. Your next step will never be a mystery and how to achieve it is based on precise and consistently applied criteria. You will work on multiple and varied teams and projects, each with the chance to hone your skills and put past learnings and experiences to use. We offer a detailed progression of increasing responsibility, with the tools and support to help you succeed. We believe good support is based on strong mentoring relationships, consistent and useful review and feedback, and high-quality training. Building the skills needed for you to get to the next level isn’t left to chance. Pearl Meyer offers extensive and carefully constructed education opportunities, both formal internal programs and targeted curricula from our leading partners including eCornell, the Rain Group, Franklin Covey, and the Corporate Education Group. Our dedicated Human Resources team continually evaluates programs, ensuring they are relevant and effective. And we offer a yearly training allowance with the flexibility to pursue self-directed, professional enrichment opportunities so you can customize your development track. Outside the office, our employees work together to give back to our local communities. In recent years, many of our employees have participated in the Adventure Team Challenge, directed by World T.E.A.M. Sports. The firm encourages charitable giving and promotes volunteer efforts, from facilitating the collection of donations and supplies for food pantries, schools, and animal shelters to contributing to cancer research efforts.